You are here: Home / Blog Entries / Paramedic Training School Cost: How Much Is Tuition? Going to paramedic school not only requires a large investment of time, but a large investment of money, too. But how much can a paramedic student really expect to pay for tuition? And does higher cost equate to better education? With so many paramedic programs and schools available not only in America, but all over the world, it’s impossible to know exactly how much it costs to become a paramedic. 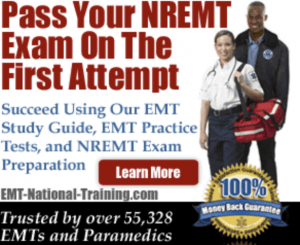 Still, we do know a range of what you can expect to pay to attend a school that will help train you to become an EMT-P.
And please note: if you’re serious about passing the NREMT exam, you can find online EMT and Paramedic practice tests that will try to help you pass the examination on your first attempt. First, if you require financial aid and are already enrolled in paramedic school, you will need to contact the school’s financial aid office so that they may best assist you. Second, the cost for a paramedic program can differ depending on where you live. Typically, if you’re an in-state student, your paramedic tuition will be lower than someone out-of-state. Paramedic tuition can also vary, too, depending on whether you’re seeking a paramedic certificate or a paramedic degree. While a certificate might help get you licensed and working at a quicker rate, earning a degree (an Associate’s Degree in Paramedicine Science, for example), will aid you more in the long-term when it comes to a potentially higher salary or career advancement in health care. In general, you can expect your paramedic tuition to cost anywhere between $1,000 to $10,000. Know that this is just an estimate, with some programs exceeding $10,000 in cost for education and training. Take, for example, UCLA’s Paramedic Program. The cost of tuition at UCLA’s Paramedic Program is $9,500. But that cost doesn’t include expenses for things like textbooks, certificates, and uniforms. Factoring in those expenses, students can expect to pay approximately $11,300 to attend UCLA’s Paramedic Program, a program that will last roughly 8-9 months. Training to become a paramedic can be pricey outside of America, too. At a school like Conestoga College in Ontario (Canada), students are expected to pay $2,744.00 for two semesters in year one, and then $2,644.00 for two semesters in year two. Like many things in life, a higher cost doesn’t always equate to better training and education. So be picky when selecting paramedic schools and programs to apply to, taking into account not only the tuition cost and financial aid offered, but the required hours, prerequisites, college credits, and program accreditation.